Onkyo TX-NR5008 review | What Hi-Fi? 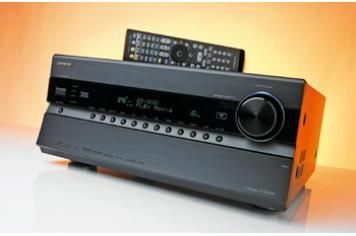 Few AV receivers exhibit the menacing countenance of an Onkyo, but its new flagship model, the TX-NR5008, wears its thickly hewn slabs of aluminium alloy especially well. It's a leviathan, the most extensively specified of its kind we've ever tested and, with nine channels, each rated at 220W (albeit using flattering criteria). It's one of the most powerful, too. So, just what can an NR5008 do for you? The short answer is ‘everything'. With eight 3D-capable HDMI inputs, highly effective 1080p-capable HQV Reon-VX video processing and twin USB and DLNA 1.5-friendly ethernet inputs, it's more than up to the challenges of modern multimedia connectivity. It'll also handle every relevant form of surround audio and, as you'd expect, comes comprehensively equipped with options, including Dolby Pro-Logic IIz, Audyssey DSX and every mode incorporated by the latest THX Ultra 2 Plus standard. And, should you want to take advantage of its extensive network features, it'll even decode most key digital music formats (save Apple Lossless) and give you easy access to Last.fm, Napster and internet radio. There's even provision for modules to support DAB+ or an iPod. Speaker optimisation is automatic, courtesy of a thorough (if laborious) Audyssey MultiEQ XT32 room-correction system. And sound quality… well, it's astonishing. You'd expect a receiver this big to sound substantial, but the TX-NR5008's scale goes way beyond mere expectation. It's an amazing listen: recently, only Anthem's £16,000 Statement combination has elicited quite the same drama from our Monitor Audio reference system. Spin The Dark Knight and you'll be wowed by the power of the soundfield, the precision of the effects placement and the staggering scale of each dynamic peak it generates. At times, and most especially with Watchmen's opening sequence, the effect is almost bestial, the Onkyo daring you to crank the volume in search of its limits. Of course, there are weaknesses. Higher-end rivals such as the Anthem will reveal more detail, and they'll surpass the Onkyo in stereo too, although the TX-NR5008's no slouch. But amps like that don't cost £2400. As odd as it might sound, that has to make this one of the biggest bargains around.